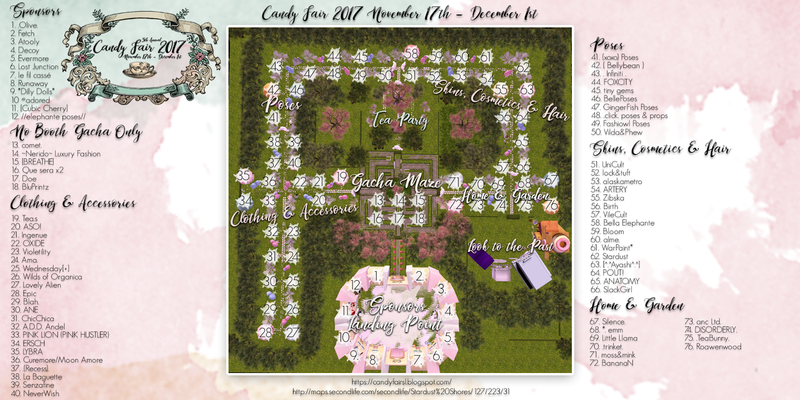 Candy Fair 2017 Update Group Early Access! 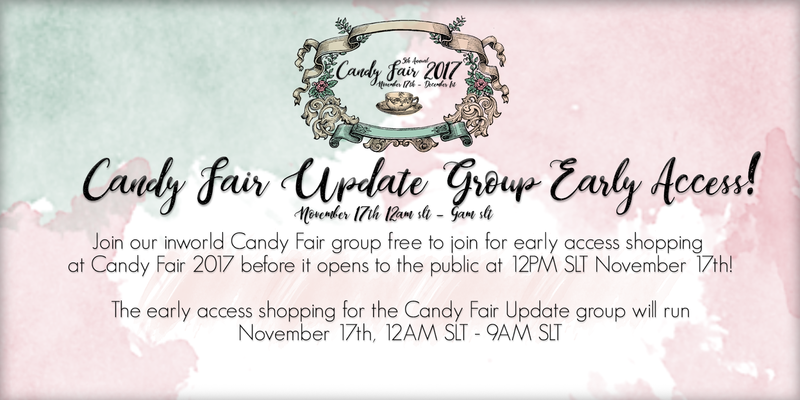 Candy Fair 2017 is having an early access shopping time for our Candy Fair Update Group members! The group is free to join. The early shopping will be November 17th from 12AM SLT to 9AM SLT. The sim will then close and reopen to the public at 12PM SLT. We hope to see you at the early access and thanks for all your continued support over the years! Enjoy the fair!